New Hampshire’s LPNs must complete a state-approved certificate program, which typically requires one to 1.5 years of focused study. The LPN certificate program is offered at several accredited schools across the state, including public community colleges like NHTI and private institutions like the Salter School. All LPN candidates must pass the NCLEX-PN national licensure examination before beginning practice. New Hampshire’s 2,100 LPNs work in a broad array of healthcare settings. These include hospitals like Exeter Hospital and Cottage Hospital, as well as outpatient providers like the Department of Veterans Affairs. 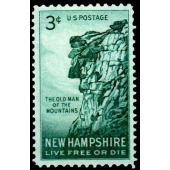 LPNs earn a median annual salary of $46,600 in the state of New Hampshire. High-performing and long-tenured LPNs can earn top-quartile pay of $53,800 or more annually. To provide additional information for New Hampshire’s aspiring nurses, we’ve profiled below all of the accredited schools that offer a state-approved LPN certificate program.